When people think about buying a home in a new area, often the first two things they ask about are schools and health care. A good school system is not only important for families with young children, it also means that the community is vibrant and economically healthy if the schools are graduating young people who can play a strong role in the work place. When it comes to health care, people feel more comfortable knowing they are close to a hospital that provides 24-hour emergency service and quality health care for preventative medicine, emergency situations or when someone is sick or hurt. Here in the High Meadows community, we are lucky to be close to a great health care facility, Alleghany Memorial Hospital, that is just 15 short minutes away. 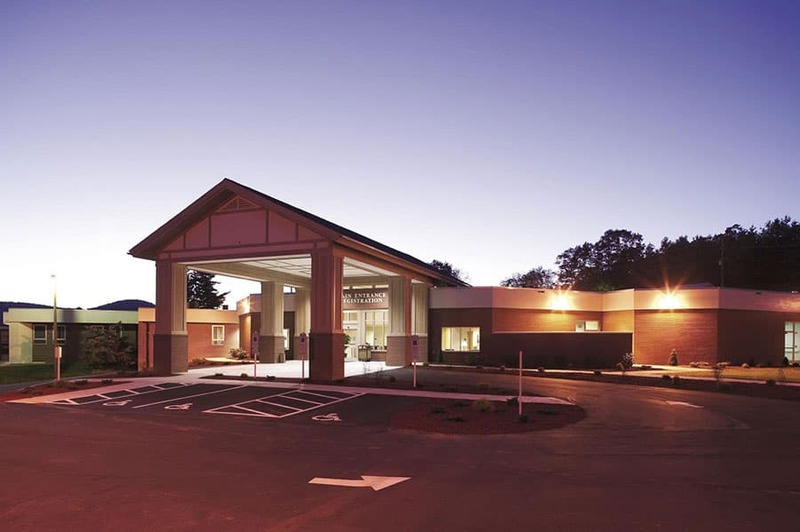 Since 1951, this hospital has served the people of High Meadows, Sparta, and the surrounding communities, providing local health services and getting people to more advanced facilities in Winston-Salem or Charlotte quickly when necessary. Unfortunately, in this day and time, it is becoming harder for small hospitals like AMH to survive. Changes in insurance, reimbursements from the government, and an aging population are just some of the pressures faced by many rural hospitals, and AMS is not immune. Nevertheless, the community understands the importance of keeping the hospital here, not only for the health of the people in Roaring Gap, Sparta, and other areas of Alleghany County, but also for the health of the economy. The hospital has more than 150 full and part-time employees, as well as contract workers throughout the year. For these reasons, High Meadows community has pledged to join in the campaign to help improve Alleghany Memorial Hospital and ensure that we will have quick access to quality health care for years to come. This fall, AMH announced an exciting new partnership that will not only help keep the hospital going strong but will also help bring additional services to the people of this area. Alleghany Memorial Hospital has joined in a partnership with Hugh Chatham Memorial Hospital in Elkin and Wake Forest Baptist Medical Center that will provide stability and sustainability for the hospital for years to come. As part of this partnership, the hospital has embarked on a capital campaign to raise funds for some much needed construction and renovation. With the promise of raising $6 million for AMS, combined with another $6 million from the other two partners, the hospital has plans for building a 22,000 square foot medical office, constructing a new main entrance, and renovating the emergency department, inpatient rooms and surgical suites. It will take the work of many people to raise the $6 million necessary for the campaign. But with our enthusiasm and support, we can help make this happen. High Meadows resident Ricky Brown and his wife Kim are co-chairs of the capital campaign, which means both are very knowledgeable about the entire project and enthusiastic about garnering support from the High Meadows community and throughout the county. Mark Stephens, past president of High Meadows Golf & Country Club, is leading the community’s efforts at fundraising. He has a great team of ambassadors to help reach out to each resident of the High Meadows community. If you would like to learn more about the capital campaign, the plans for construction, and the future of Alleghany Memorial, you are welcome to attend the public unveiling of the campaign on December 7 at the Sparta United Methodist Church. Or you can talk with Mark or one of the campaign ambassadors, who are working hard to personally call each and every member of the High Meadows community to explain the efforts and ask for support.